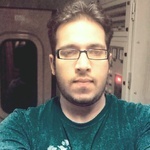 I, Manish Kumar, am a full stack developer (full-time freelancer) including Web designing and Web development, Graphics designing and Digital marketing expert (including SEO, PPC...Read moreI, Manish Kumar, am a full stack developer (full-time freelancer) including Web designing and Web development, Graphics designing and Digital marketing expert (including SEO, PPC etc.) having experience for more than 8 years in Web development ( PHP, magento ,wordpress, joomla, drupal, woocommerce, opencart, Wix, Weebly, Squarespace etc). I have completed almost 180 projects and have worked with 117 clients, catering various industries including fashion,hotel ,education,electronics ,fashion,news etc.I have been serving IT services to various parts of the world including UK, USA and Canada etc. I am able to work over skype according to your time zone ,fluent in English am available for 60 hours/week.I am dedicated towards providing quality service and timely delivery. 1.Project wise:-You need to pay me according to project you will give me. 2.Dedicated resource:-You can also hire me as a dedicated resource according to your time zone.I will be working full time for your projects only. I believe in fast and timely delivery.So,i assure you to deliver you all work within mentioned timeframe .We are very strict and punctual regarding timing commitments. I am willing to work under "Timedoctor" software Supervision So,that you can track my every action on screen. Manish comes highly recommended. A great guy who's extremely eager to please. Hope to work with you soon !! Pleasure working with you, hope to work with you soon again !! Already working with you for the next project !! More than happy with the work, thank you !